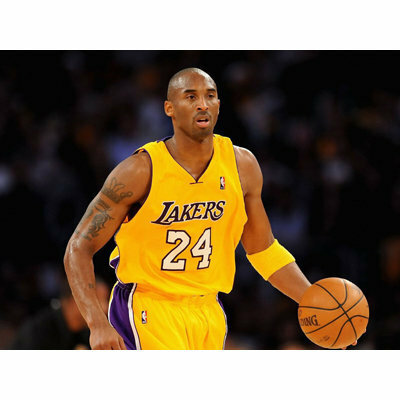 A professional American basketball player who is currently playing for the Los Angeles Lakers in NBA.He is playing in a position of the shooting guard for his team. He was born in Philadelphia,Pennsylvania as a only youngest son of former NBA player Joe Bryant (Father) and Pam Bryant (Mother).He completed his high school education from Lower Merion high school. He is a american player of weight 96 kg who played for his team Lakers since he started his professional career.He was ranked as second greatest shooting guard of all time.He has a salary of 23.5 million USD. Regarding to his personal life he is a married man living a happy family with his wife and two children.His wife name is Vanessa Laine Bryant and his two beautiful daughter name is Gianna Maria-Onore Bryant, Natalia Diamante Bryant. He was awarded as the NBA Most Valuable player in 2008.He also won gold medal in Olympics.He was also awarded with the NBA finals MVP award. There was a controversy that he was guilty of adultery. Paul Heyman is a multi talented man who is currently associated with WWE. He is the former owner of Extreme Championship Wrestling (ECW). Guy Roland N'Dy Assembe is a Cameroonian footballer who currently plays for French side Nancy and national team as a goalkeeper. He is best-known for his various skills like control over short passing and shots. Scott Carl Rechsteiner (born July 29, 1962) is an American professional wrestler. He is popular by his ring name, Scott Steiner. He wrestled in World Championship Wrestling (WCW) and also in the World Wrestling Federation/Entertainment (WWF/E). A famous Argentine football player who is nicknamed as El Toro. He is currently playing for Serie A club Internazionale as a centre back(defender at central back position).